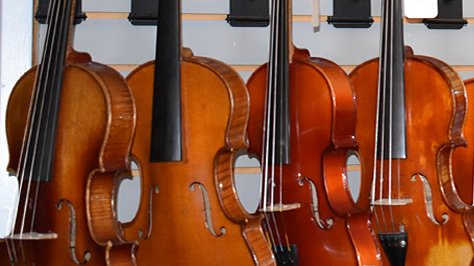 Fine Fretted String Instruments has offered fine Violins, Violas, Cellos and Classical and Flamenco guitars since 1987. We provide instruments for the students of 2 dozen University music professors. We also offer music and sight-reading lessons and are multilingual: English, Spanish, Japanese, Mandarin and frequently read and translate French, Italian, German and Portuguese. All Guitars and Violin Family Instruments bought from Fine Fretted String Instruments have a 100% trade-in value. 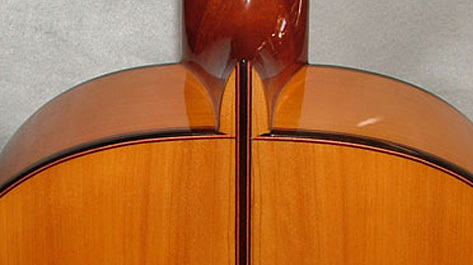 Fine Fretted Instruments offers affordable to high-end violins in all sizes. 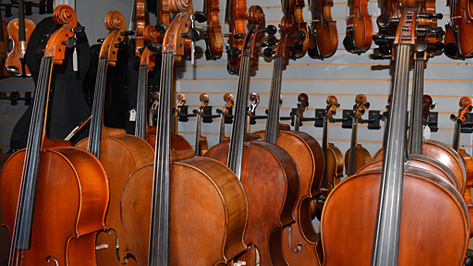 We currently have over 200 quality violins made by 15 generations of violin makers. All come with 100% trade-in value to support players who become advanced and want better instruments. We supply instruments to teachers throughout the Bay Area and work with eight symphonies. 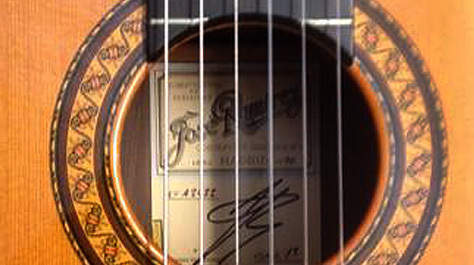 We have imported over 400 new and pre-owned 1/2-, 3/4-, and full-sized classical guitars imported and adjusted from Spain. Because we speak Spanish (and other languages!) we are able to work directly with the Spanish craftsmen to suggest or request specific features. As with all of our instruments, you get 100% trade-in value should you decide to move up. 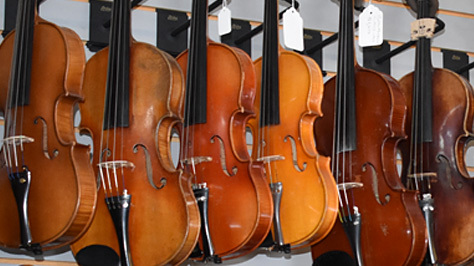 Fine Fretted Instruments offers an exquisite collection of Italian, German, French and Czech Cellos ranging in price up to $80,000 and dating back to the late 1700s. We have provided instruments to members of the San Francisco Symphony. We have over 30 pre-owned Violas in stock, from 14" - 16 5/8". All of our Violas are strung with Obligato strings for that desired darker sound. We offer over 70 new and pre-owned high quality Classical and Flamenco guitars, crafted by multiple generations of luthiers.